Lauren Avant was in no mood Friday night to celebrate her selection as Division 2-A's Miss Basketball for a second straight season. With her Lausanne basketball team having just dropped a 42-39 decision to Bishop Byrne in the D2-A girls title game at Lipscomb University's Allen Arena, Avant was anything but overwhelmed after receiving the award. 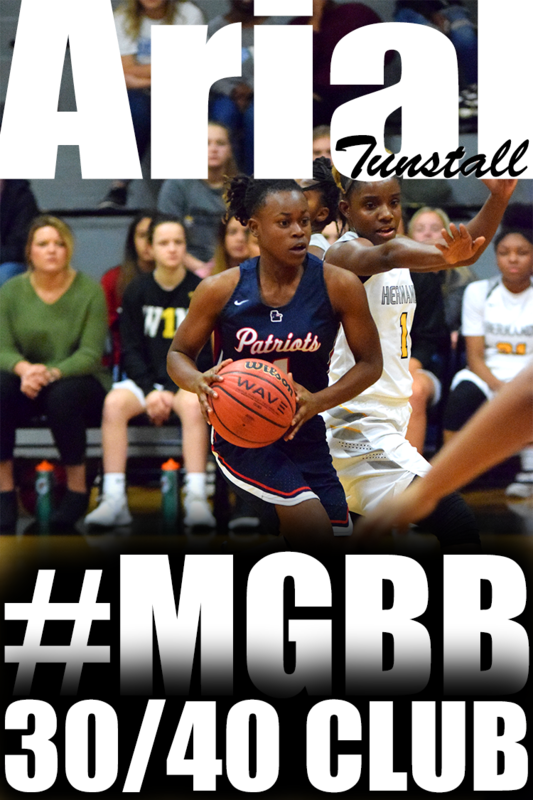 It's nice," said Avant, a 5-9 junior point guard and Tennessee commitment who averaged 15.2 points, 5.7 rebounds, four assists and five steals per game this season for the Lady Lynx (30-4). "I'd rather have that state (trophy) more, but, I mean, it's nice. Being recognized is cool, I guess." Avant was chosen for the award over Harding Academy junior guard Alex Black (14.8 ppg) and St. Andrew's-Sewanee sophomore post Jodie Brown (17.7 ppg, 10.6 rpg). Before Friday’s Region 8-AAA girls’ quarterfinal was a minute old, Central had already run up a 6-0 lead on Houston. The Lady Warriors pulled down a rebound, dished a couple of assists, racked up one steal, and would’ve had a second and another basket if an official’s whistle hadn’t blown. 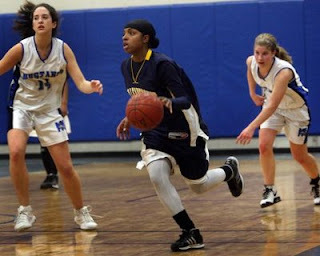 Robinson had gained such national recognition because of the leadership qualities and skills she demonstrated while playing AAU ball last summer. 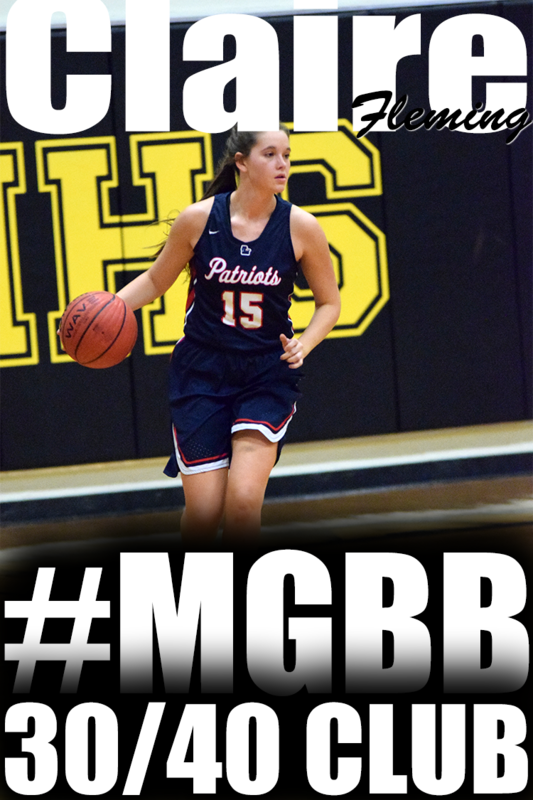 Judging by her late heroics Friday night against Fairley in the quarterfinals of the TSSAA Region 8-AAA tournament, it safe to say these qualities still very much exist. In a huge shocker, the Red Knights of Bishop Byrne upset defending D2-A girls state champ Lausanne, 42-39, in tonight's championship game at David Lipscomb University in Nashville. Lausanne had defeated Bishop Byrne three times this season by an average of 20 points. Rachaal Clayton led the Red Knights with 11 points, while tournament MVP Brittany Walls and Brittany Morgan each added 10. Monica Miller led Lausanne with 21 points. Lauren Avant, named Miss Basketball for the second time after the championship game, was only 2-of-14 from the field and finished with 6 points. St. Benedict only trailed 26-24 at halftime, but Nashville Ensworth pulled away in the second half of the Division 2-AA state basketball semifinal in Nashville and got the 67-51 win over the Lady Eagles. SBA got within nine points at 56-47 with 5:01 left in the game, but the Lady Tigers hit enough free throws the final five minutes to keep St. Benedict from getting any closer. 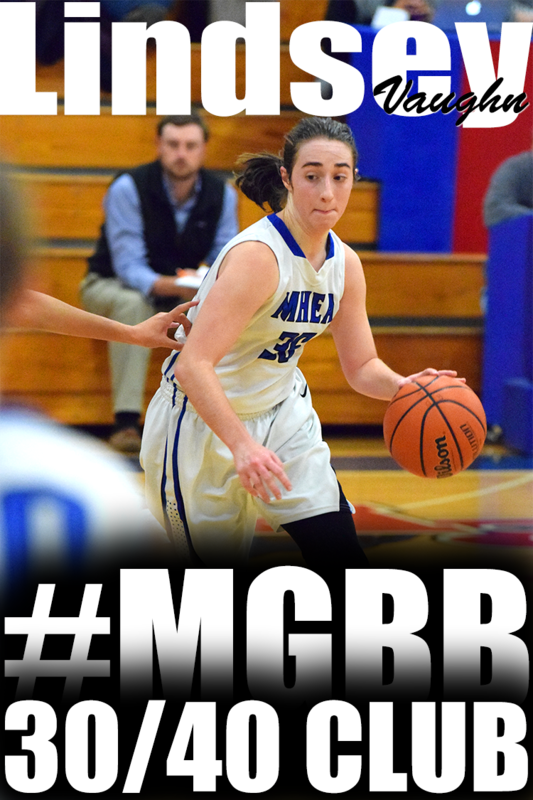 Senior Brittany Taylor led the Lady Eagles with 14 points and sophomore Ashley Magnifico added 10. Ensworth (67) -- Jamie Allsmiller 14, Candace Lawrence 1, Kyara Byner 6, Brandi Byner 2, Marie Carpenter 18, Nakia Lang 4, Emily Perkins 17, Justice Sweat 4, MacKinnon Morrissey 1. St. Benedict (51) -- Symone Daniels 8, Julie Eckel 4, Sara Ann Jeffrey 2, Ashley Magnifico 10, Elaina McCracken 4, Lindsey Pratt 7, Brittany Taylor 14, Megan Van Eaton 2. Records -- Ensworth 23-5, St. Benedict 23-8. 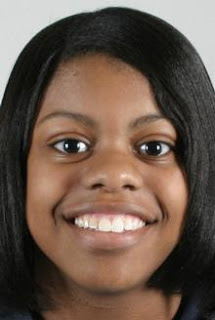 Looking to avoid a repeat of 2007, Jasmine Newsome scored a game-high 27 points on 8-of-11 shooting, helping top-seeded Millington roll over second-seeded Bartlett, 72-47, in the District 14-AAA girls tourney title game at Raleigh-Egypt. The defending girls Division 2-A state champion Lausanne Lynx jumped out to a 36-16 halftime lead and coasted to the 71-59 win over Harding in tonight's girls semifinal at the Division 2-A state championships in Nashville. All five of Lausanne's starters scored in double figures. Breana Williams and Jessica Green both had a team-high 14 points, while Monica Miller added 13, Lauren Avant 12 and Erin Riley 11. Allie Logan led Harding with a game-high 20 points. Lausanne will play Bishop Byrne in Friday's state championship. The teams have met three times this season with Lausanne (30-3) handing Bishop Byrne (27-3) its only three losses. Bishop Byrne's Rachaal Clayton layup with 36 seconds left in the game gave the Lady Red Knights a 39-38 lead and Brittany Walls added a free throw with 10 seconds remaining to give Bishop Byrne a 40-38 win over Nashville's Davidson Academy in today's semifinal game at David Lipscomb University. Davidson Academy's Alexandria Warfield had an opportunity to tie the game with no time left, but missed her first free throw. Walls led the Lady Red Knights with 18 points on 7-of-11 shooting Clayton added 10 points. Bishop Byrne led by as many as 12 points (15-3) in the first quarter, before Davidson tied the game at 23 early in the third quarter. Bishop Byrne will play either Lausanne or Harding in Friday's 6 p.m. girls championship game. This is the first-time for Byrne to reach a state championship game in girls basketball. Abdul-Qaadir prays five times a day, sometimes breaking from class or practice, to do so. She fasts from sunrise to sunset during Ramadan. And when someone in the opposing rooting section yells, "terrorist," or some other derogatory at her, Blake calls a colleague in an effort to defuse and educate. 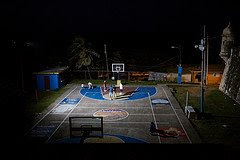 RivalsHigh.com released their Top 25 ranking today. Central is ranked 21st. The No. 1-seeded Lady Warriors beat second-seeded Melrose, 60-54, Tuesday at Hamilton in the girls 16-AAA title game to earn their second district-tournament championship in as many seasons. Derek Hunter's cell phone features a mini-camera. He might as well use it. That's just what the longtime Booker T. Washington coach did after Tuesday night's District 15-AA championship game against host Trezevant. His Lady Warriors collected another postseason trophy, as senior 1-2 punch Jessica Brown and Daria Hester combined for 38 points in leading BTW to its third win this season against the Lady Bears, 50-36. Overton got its usual strong offensive game from junior Jasmine Robinson, several energy boosts from freshman Cortice Golden, and the Lady Wolverines cashed those tickets in for a second straight District 15-AAA title, defeating White Station, 49-41, Monday night at Southwind. 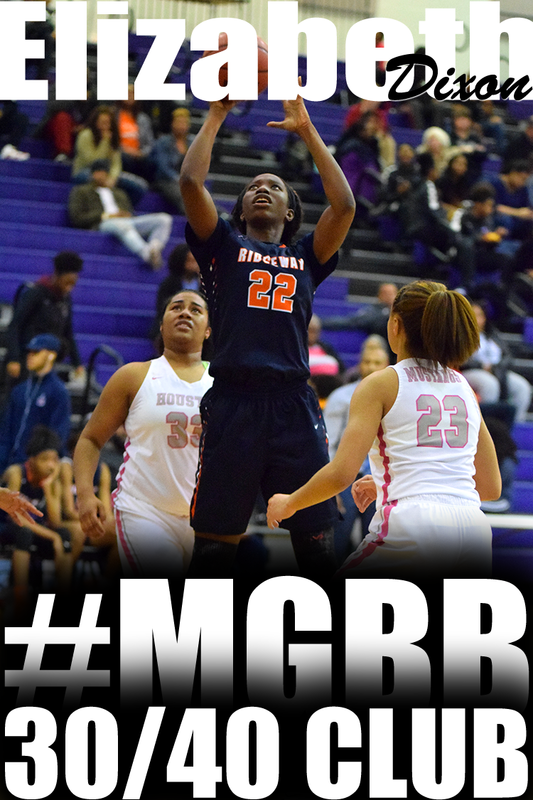 In the consolation game, Ridgeway rolled to a 14-point third-quarter lead and held off Houston, 61-52. All four teams advance to the Region 8 tournament, which begins this weekend at Wooddale. Senior guard Brittany Taylor scored 14 points and sophomore forward Symone Daniels had 12 points and eight rebounds to lead St. Benedict (23-7), which advanced to its first D2 girls state tournament since 2005 after outscoring BA, 26-14, in the fourth quarter. This was a very exciting game to experience.. And what an experience it was. The gym was packed with fans, players and college coaches. The game started with a block by Overton's Charisma Tyson. Then the nerves and excitement of both teams were displayed with several unforced turn overs. The game was tied 4 up until Central broke it open with a 10-0 run. With 17 seconds remaining in the 1st quarter, Cortrice "Big Baby" Golden had an 'And 1' situation to end the quarter with a score of 14-7. Overton went on a run of their own in the second quarter, outscoring Central 18-9. During the run Overton had some key steals and three pointers by Orlandria Williams and Cornelia Fondren. Overton took the lead into half time 25-23. Both teams came out of half time committing consecutive turnovers. Then Overton continued their momentum into a 9 point lead. That's when Diaper Dandy Danielle Ballard took over for Central. 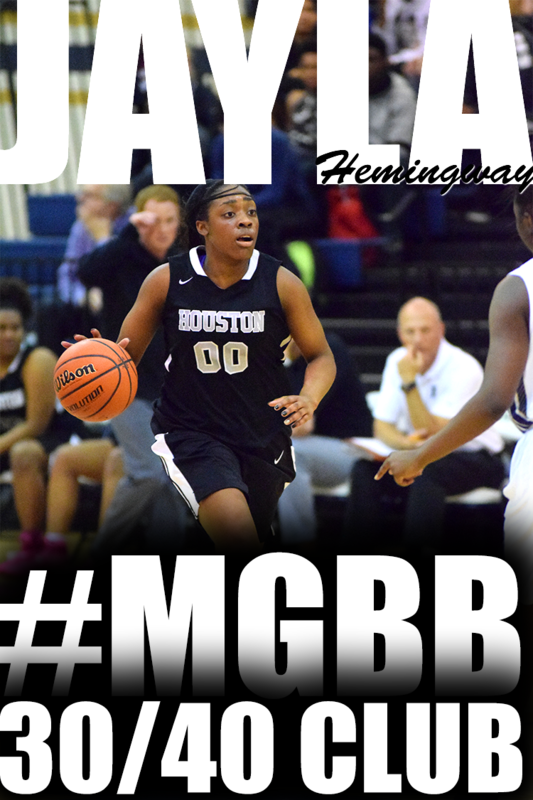 She was rebounding, creating situations with assists, scoring and stealing the ball. At the end of the third quarter Central was down only two points 45-43. The fourth quarter was a dog fight, a battle of heart and will. Central reclaimed the lead and within the 2 minute mark they began the INFAMOUS MEMPHIS STALL. Overton was forced to foul and Central connected. Erica Burgess was 4 for 5 from the line and Jamila Ajanaku was 2 for 2. Central won 65-59. The player of the game was Jasmine Taylor with 20 points, 5 rebounds, 2 steals. Central also got 17 points form Aaliyah Whiteside and 15 points, 10 rebounds, 5 steals and 1 block from Danielle Ballard. Booker T. Washington girls basketball coach Derek Hunter discovered some newfound unity in his team Thursday, a quality he hopes he could help lead his Lady Warriors all the way to Murfreesboro and a spot in the Class AA tournament. Moments after Washington edged Mitchell, 50-49, at White Station High to claim its second consecutive MIAA City Championship and Hunter's ninth overall, Lady Warrior senior forward Daria Hester was named the game's Most Outstanding Player following her 18-point performance. However, since senior forward Monique Ingram did what Hunter called the "little things" against the Lady Tigers (13-9), Hester felt it was necessary that she give Ingram the MOP plaque. Ingram scored 11 points, including some key free throws late in the game, and came up with a number of key steals and crucial rebounds. "I think that's how you can win a state championship," Hunter said of Hester's selfless deed. "When you have kids who loved each other like that, there's no telling how far you can go." Senior forward Jessica Brown added 16 points for Washington, ranked No. 12 in the Dandy Dozen. Mitchell was led by Teneir Mathis' 15 points. 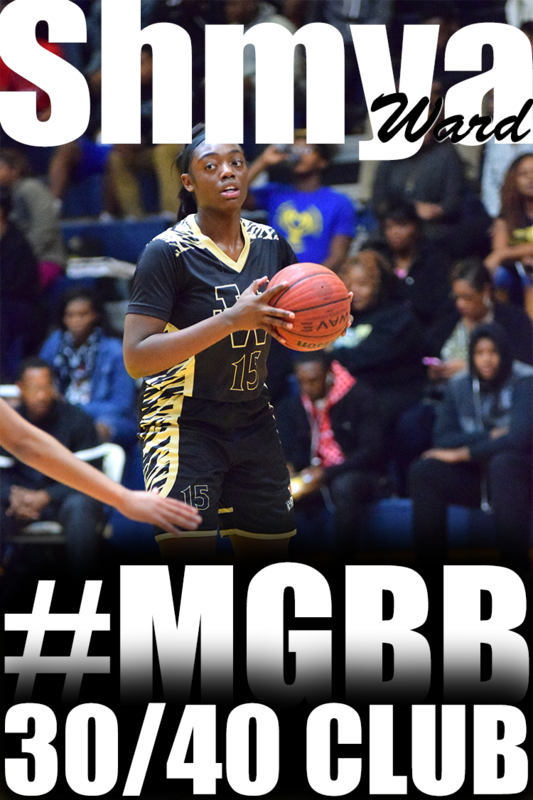 (1) Central 65, (4) Overton 59: Freshman phenom Danielle Ballard scored 11 of her 14 points in the third quarter and Arkansas State signee Jasmine Taylor tacked on a team-high 20 points to help the Lady Warriors (26-1) rally from an eight-point third-quarter hole against Overton. Taylor was named the game's most outstanding player for a Central squad that won its 16th straight game while earning its first girls city title since 1993. "We've been taking it all year. It's just not been as intense, and that's good for us," Central coach Niki Bray said. "Overton did a great job. (Lady Wolverines coach Jamie Rosser) has got a great team and he's done a really good job with them." Jasmine Robinson's 21 points led Overton (20-6), which led, 41-33, with 2:49 left in the third before Ballard and Co. cut Overton's lead to 45-43 after three. The University of Memphis Lady Tigers will be hosting their final 2 home games this weekend. 9U/4th grade, 10am to 12pm. 13U - 14U/8th & 9th grade, 2:30pm to 4:30pm. 16U/11th grade, Jr. Exposure Team, 3pm – 5pm. This week Millington remains at 19 and Central drops 1 spot to 37. St. George's at Nashville Davidson Academy, 6 p.m.
University School of Nashville at Bishop Byrne, 7 p.m.
Harding at St. Andrew's, 7 p.m.
SBEC at Lausanne, 7 p.m.
Chattanooga Baylor at Briarcrest, 7 p.m.
ECS at Nashville Ensworth, 7 p.m.
Brentwood Academy at St. Benedict, 6 or 7 p.m.
Lauren Avant and Jasmine James are Miss Basketball finalist. Central's Danielle Ballard and Aaliyah Whiteside were the headliner on ESPN Hoopgurlz website yesterday, February 17, 2009. Others receiving 12 or more points: Tennessee 15, Riverdale 12. Others receiving 12 or more points: North Greene 12. Bartlett's Jasmine James was nominated by Full Court Press as an All-American. Lauren Avant doesn’t just dish out assists on the court. She also has the ability to hand them out off the court. After leading Lausanne, the Associated Press’ top-ranked team to a 64-39 win against Bishop Byrne in the championship game of the Division 2-A West Region tournament at SBEC on Saturday, Avant earned the tourney’s Most Valuable Player and the All-Tournament MVP awards. However, she felt she wasn’t deserving of the second plaque, passing the award to teammate Breana Williams, who finished with 15 points against the Lady Red Knights. Havenview Middle defeat Munford Middle 56-35. Nina Davis scored 37 points and was awarded MVP. This was the most physical game I have seen this season. The headliner for the first quarter was Symone Daniels. She was a beast on the boards. 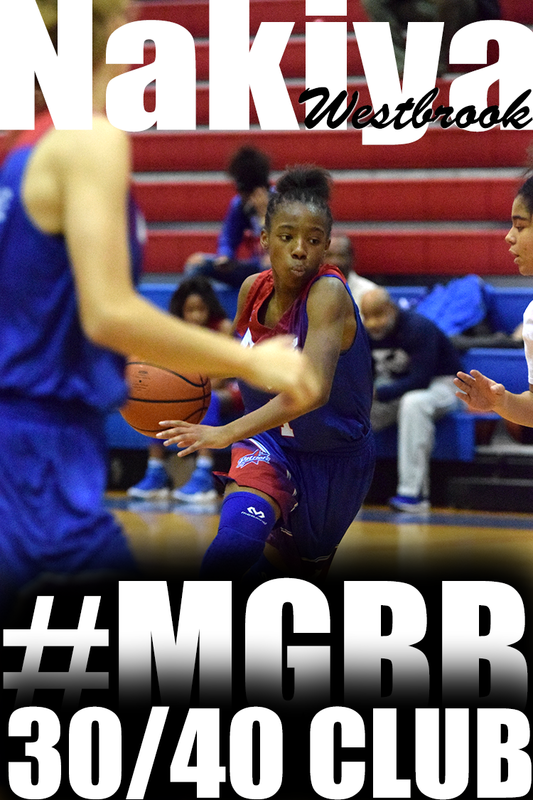 She had 6 rebounds in the first 4:30 of the game helping St. Benedict out rebound Briarcrest 12-5 on the boards. End of first quarter score 13-6 St. Benedict. Second quarter is when things got out of hand--Bad calls by the refs, players kicking players (oh that was the 1st quarter), bodies flying in the air, bodies hitting the floor, little boys jumping and falling in the stands. I should have kept a count of how many times someone fell, flipped, or was knocked on the floor. And free throws were terrible. Saint Benedict had 8 attempts and only made 1. However, Briacrest still could not capitalize. Briacrest could not buy a basket, missing layups, stick backs and easy shots on the block. End of second quarter 20-12 St. Benedict. This is the best way I can describe the second half of the game. TOs. TOs. TOs. FOULS. FOULS. FOULS. UGLY. UGLY. UGLY. LONG. LONG. LONG. 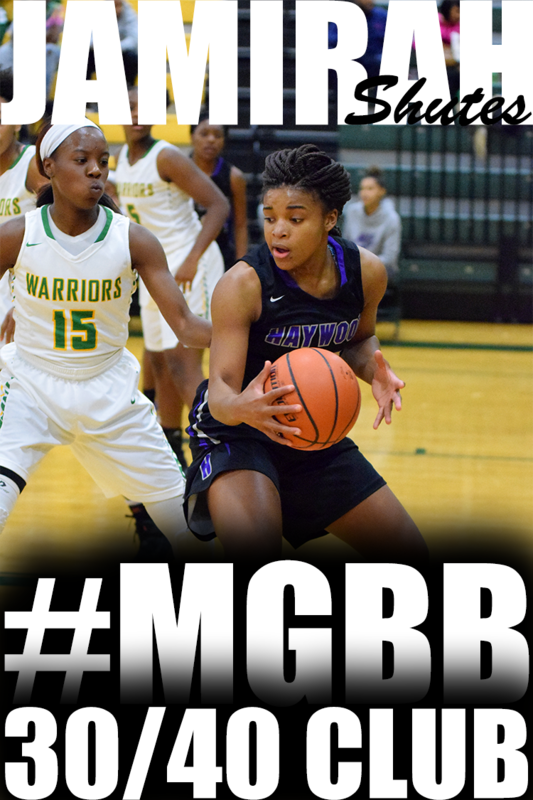 In this episode, Po Po talks about the Havenview-Germantown matchup in the Middle School Sectional Tournament including Ebony Hayes and Nina Davis, the City Championship and the upcoming AAU season. A fifth-year varsity player, Bilqis (pronounced BILL-KEACE) will attend the University of Memphis this fall on a full scholarship and will become the first player at a top tier Division 1 school to compete in full Muslim dress. Her look has drawn some curiosity, and, at times, some taunts. "Sometimes they yell out, 'Terrorist!' " said teammate Ashanti Miller. "She gets mad, but she doesn't lash out. I don't know how she handles it. She just takes it." 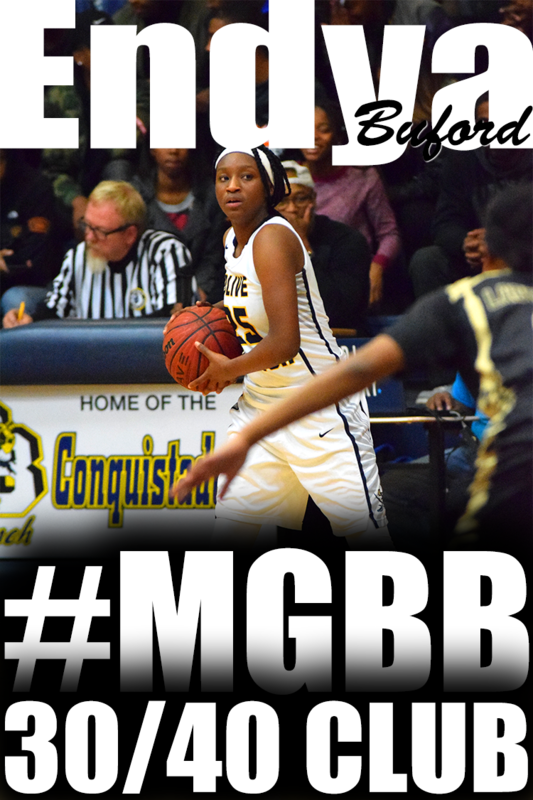 For Bishop Byrne’s girls, a game with Lausanne may be like climbing the mountain. But a game with Harding is rapidly becoming a trip through the foothills in a snowstorm. The Lady Red Knights will get another crack at the summit Saturday, meeting Lausanne for the Division 2-A West Region basketball title at Southern Baptist Educational Center. But first, they had to survive a couple of mini-avalanches Thursday before edging stubborn Harding, 44-39, in the semifinals. This week Millington remains at 19 and Central drops 1 spot to 36. Championship, (1) Lausanne vs. (2) Bishop Byrne, 6 p.m.
Consolation game, (3) Harding vs. (5) St. George's, 2:30 p.m.
5th place game, (4) SBEC vs. (6) FACS, 11 a.m.
Championship, (1) St. Benedict vs. (2) BCS, 6 p.m.
Others receiving 12 or more points: Cleveland 18, Tennessee 15, Shelbyville 12, Mt. Juliet 12. Others receiving 12 or more points: Middleton 15. This was a very nice matchup. What stood out was the team work displayed by both teams. There was much ball movement and both took advantage of having decent post players. Arlington jumped out 6-0 behind several turnovers by Craigmont. 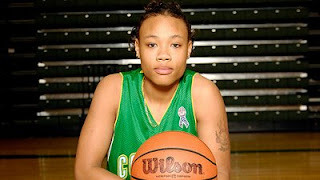 Kim Wilson came off the bench and helped spark a run for Craigmont grabbing 3 rebounds and getting 2 points. Katya Lloyd helped Craigmont take over the lead with a 3 making the score 11-8. 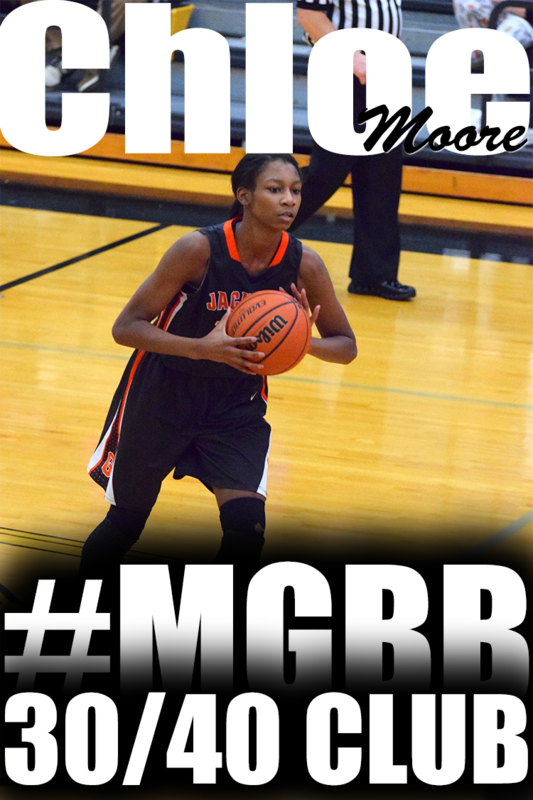 And Shatingra Jones hit a NBA range 3 at the buzzer to end the first quarter 16-11 Craigmont. During the 3rd quarter, freshman Ariel Hearn got hot scoring 8 points in the quarter including 2 threes helping to extend Arlington's lead 41-34. University of Memphis signee Ashley Robinson eclipsed 1,000 points for her career with a game-high 15 points and junior guard Jasmine Newsome added 14 for a Millington squad that won its 35th consecutive home game dating to the 2005-06 season. On Wednesday, February 18th, 2009 the Boys and Girls McDonald's All-American Teams will be announced on ESPN Live. Both the Boys and the Girls games will be played in Miami Fl. on Wednesday April 1st, 2009. The Girls game will precede the Boys Game. Both games will be carried by ESPN. Memphis has some representation on the Tennessee nominee list. ESPN Rise Fab 50 Rankings were released February 4, 2009. Millington remains at the 19th spot, while Memphis Central moves up 35 from 37. Others receiving 12 or more points: Walker Valley 16. Others receiving 12 or more points: Humboldt 20, Middleton 15, Gordonsville 12. 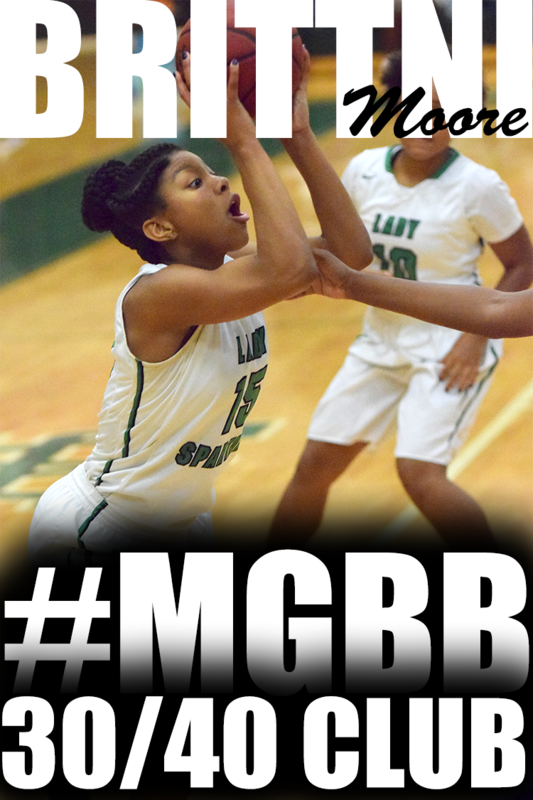 White Station (62) -- Ashley Foster 2, Casey Gregory 8, Ty Harris 2, Megan Miles 5, Kaitlin Murphy 12, Chi Chi Okwumabua 21, Chetavia Rutherford 12. 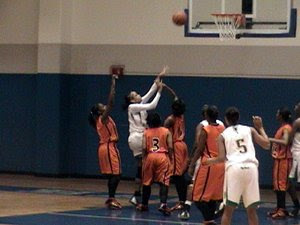 Ridgeway (50) -- Whitney Cooper 2, Chasity Hamilton 5, Hasina Muhammad 6, Terryn Offiong 9, Adrian Sanders 20, Ashley Tate 8.